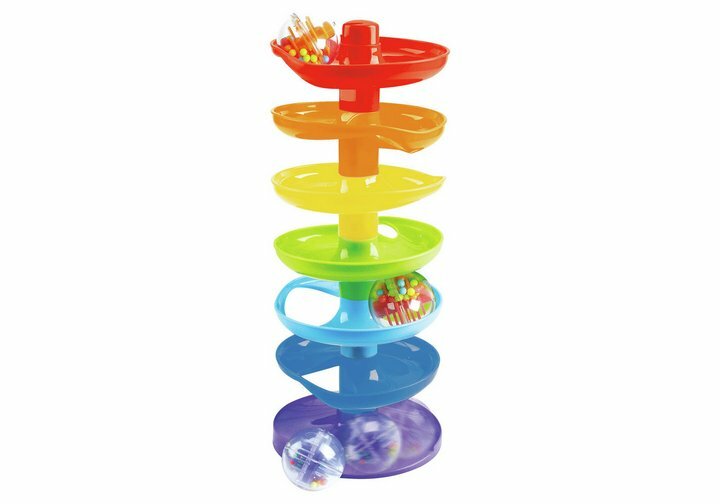 Great for aiding motor skills, let your most cherished build and play with this vibrantly coloured Chad Valley Stacking Ball Drop. With four (4) detachable parts in varying bright hues, with your assistance your little one can assemble the stacker then become delightfully transfixed as they watch and giggle as the ball whirls down the slide. Size H24, W32, D10cm. Get money off with April 2019 free Argos voucher codes, see if there's a discount code for the Chad Valley Stacking Ball Drop product.